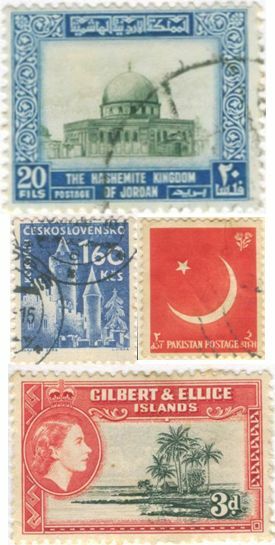 My Philatelic World is my blog where I share my interest of philately – the art of collecting stamps and my stamp collection. Initially, I have been sharing individual stamps, mainly from Pakistan, with my viewers so far. But recently, I have also started sharing pages from my stamp albums showing stamps of different countries. Interestingly, all stamps are at least 45 years old (and later) as I started collecting stamps in 1965. But in some cases the stamps are even 65 years old, as can be seen in case of Germany carrying portrait of the German Chancellor Adolf Hitler which were printed prior to 1945. So that makes it something like 65 years old. Going further back, I have a collection of Iranian stamps that were published very early in the 20th century, i.ie from 1909 onwards. My active stamp collecting came to an end in 1975 when I left to find bread and butter for myself. But my albums continued to be very dear to me all these years. Then there are countries that do not exist on the world map anymore and have become part of new countries or have changed names since. Gilbert and Ellice Islands is one such example, which after having been part of the British Empire for almost a century became part of Kiribati and Tuvalu. I also have stamps of Czechoslovakia which after 1993 has been broken into the Czech Republic and Slovakia. 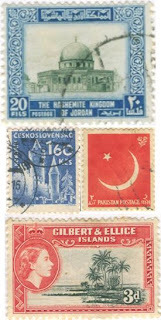 Philately is an interesting hobby and perhaps the most adopted throughout the world. Though with the introduction of e-mails and SMS facilities, the art of letter writing has diminished. But those who love stamps still continue to find these small rectangulars fro their fun and hobby.